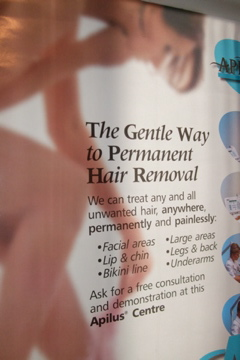 Apilus - The gentle way to permanent hair removal. Apilus® offers advanced technology with proven effectiveness in the field of hair removal. Already in use in thousands of Apilus® Centre’s throughout the world, our systems have demonstrated time and time again that Apilus® delivers more effective and more comfortable treatments as well as much more rapid permanent results than any other hair removal technique. 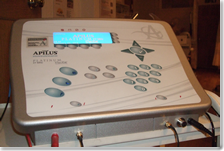 Thanks to its powerful circuits entirely controlled by computer, Apilus® offers professional electrologists pinpoint precision and perfect settings to guarantee the results you seek. You can finally say goodbye to unwanted hair, whether on the face or any other part of the body. Apilus® is also equipped with a unique "tolerance test", which allows the unit to be adjusted and adapted to your level of sensitivity to the current. Apilus® high precision circuitry uses application pulses as short as one-thousandth of a second, which assures incomparable comfort. Some electrolysis systems are simply better than others. In the same fashion, Apilus® Centre’s stand out for their professionalism and their desire to offer their clients the best there is in permanent hair removal. 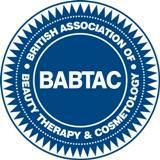 In these electrolysis and aesthetics salons, the staff has received in-depth training on Apilus® technology. 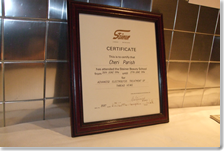 You can therefore undergo treatments in full confidence, knowing you are in the hands of a certified technician using ultramodern technology and equipment as well as sterilised disposable probes. 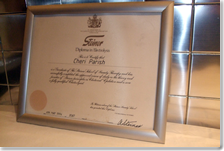 An Apilus® electrologist is someone who believes quality and security are key elements of her practice and who puts your well-being and satisfaction first. Don't hesitate to ask for detailed explanations during your first consultation and throughout your treatment. 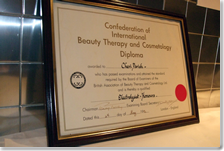 For over 130 years, electrolysis has been and remains the only 100% permanent hair removal method recognised by government regulatory agencies such as the U.S. Food and Drug Administration (FDA). 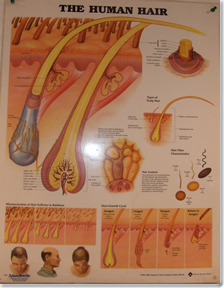 This technique permanently destroys germinative cells responsible for hair growth, thanks to the insertion of a fine probe in the hair follicle and the application of a current adjusted to the type of hair and the treated area. 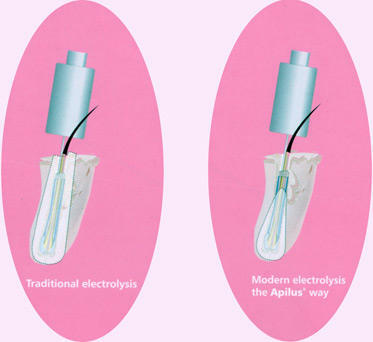 The creators of Apilus® were convinced that by integrating modern technology, electrolysis could become a much more effective and comfortable technique. They designed a computer-assisted system that concentrates and controls the extent of destruction in the hair follicle, targeting only the germinative cells and thus preventing new hair growth. The gentle way to permanent hair removal is now possible, thanks to Apilus® technology. The world exclusive design of the Apilus Platinum uses an ultrarapid 27 MHz frequency to permanently destroy all hair types. The Apilus Platinum works twice as fast as any other epilator by optimising energy concentration in the hair follicle. The cells responsible for hair growth coagulate more quickly, resulting incomparable effectiveness and confort. 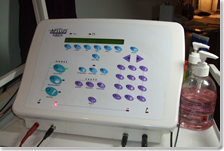 Apilus computerised epilators use advanced technology that has stood the test of time. For more than 20 years, thousands of Apilus systems have been used throughout the world, to offer high-performance hair removal treatments that yeild permanent results with a gentle touch. Thanks to its ultrarapid 27 MHz frequency, the PicoFlash mode of the Apilus Platinum effectively targets hair to destroy it while offering the comfort you have yet not seen in permanent hair removal. The PicoFlash current. exclusive to the Apilus Platinum, is so quick and so ceptible. Just a few thousandsths of a second suffice to completely eliminate the hair! Thus, with its PicoFlash mode, the Apilus Platinum is the ideal solution for comfortable permanent hair removal, whether in the face or any other area of the body. 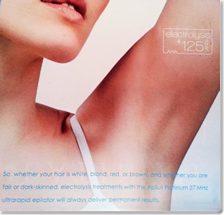 After more than 125 years, electrolysis still remains the only 100% effective method of permanent hair removal for all skin and hair types. Other hair removal methods currently offered on the market, such as laser, are applied on the skin surface and detet the hair thanks to its pigmentation (colour). However, for effective hair reduction, these methods require a strong contrast between the skin colour (light) and the hair colour (dark). Electrolysis, on the other hand, directly targets the hair follicle from the inside, leading to a complete destruction of the cells responsible for hair growth while protecting the skin surface. See by yourself the impressive results obtained with Apilus Platinum 27MHz electrolysis device, compared to the results of laser treatments. The results are shown here on a cross-section of a hair follicle and were obtained within the scope of a comparative study conducted in cooperation with Dr. Doillon, research scientist and professor at the Laval University Hospital Centre (CHUL) in Quebec City (Canada). 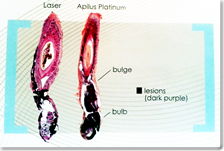 The destruction produced by the laser is limited, as shown by the irregular distribution of lesions (dark purple) around the hair follicle. Thus, several cells responsible for hair growth remain intact. On the other hand, the lesions produced by Apilus Platinum 27 MHz are widespread and evenly distributed. Need to say more?